Living off the land ain't easy. 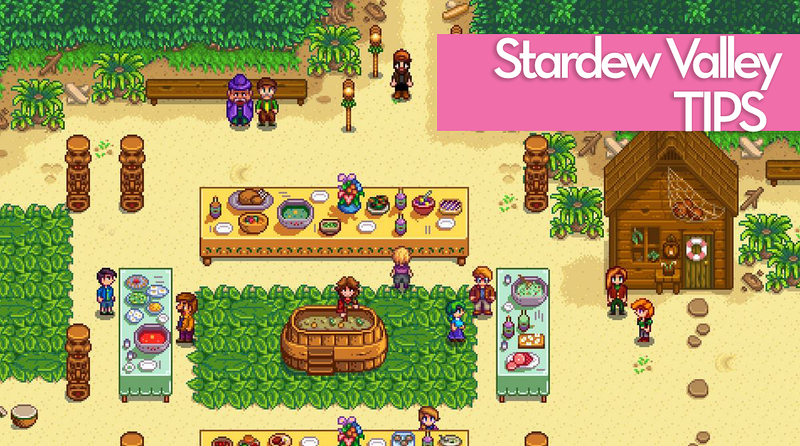 There's a lot about Stardew Valley that the game doesn't really explain, which makes jumping in a bit daunting. 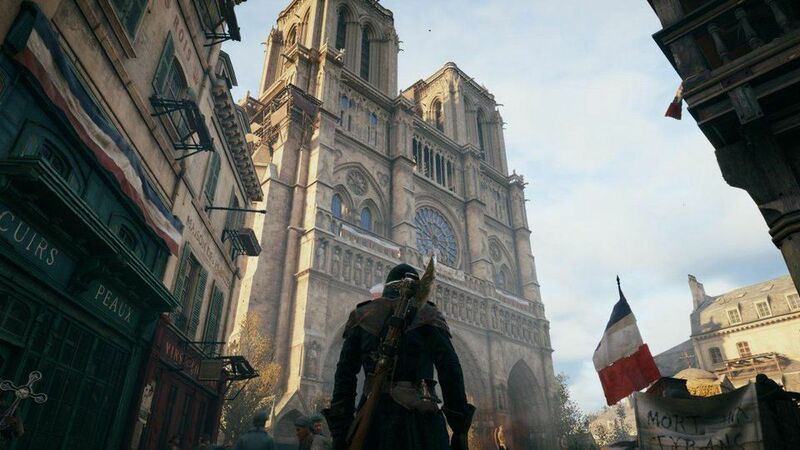 Heck, after playing dozens of hours myself, I still feel like I'm finding out new things about how the game works every day. So, I thought it might be useful to share some of the things I've learned along the way. 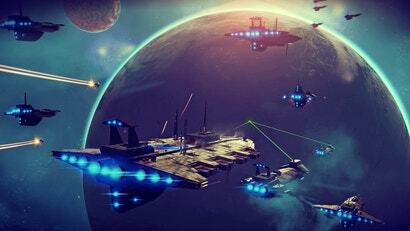 This post originally appeared in March 2016, and it's been heavily updated following the Switch version getting multiplayer, and the launch of the Android version today. 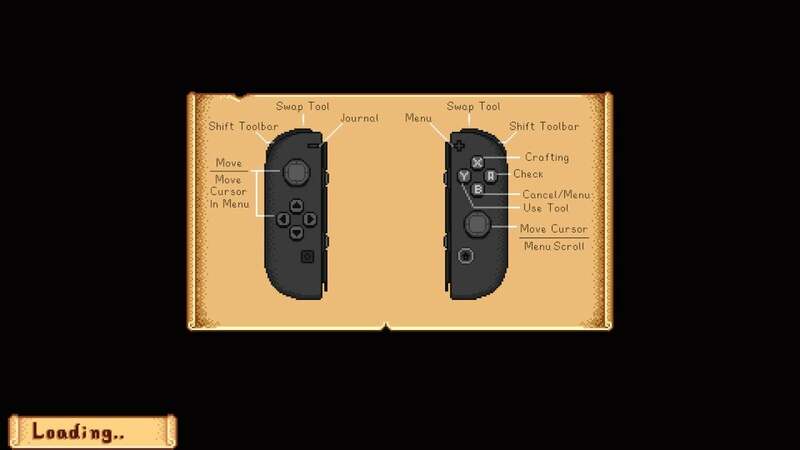 There are a couple little things for the Switch controls that you won't figure out until after trying every button. Pressing Y to take one item from a stack is one of them. You can also press X to exit out of letters and quests. While you can cycle through menus and your tools using the triggers, the shoulder buttons allow you to shift through the rows of your inventory. If you need to use the cursor, you can trigger it with the right analogue stick. You might not want to bother anyone on the train if you're taking your console with you, but a lot of things in Stardew Valley require sound cues. Fishing is especially hard if you're playing on mute in handheld mode. While your lure will shake and a small exclamation point will appear above your character's head when you get a bite, it's not nearly as attention-grabbing without the klaxon sound effect. When the JoyCon are detached this isn't as big of a deal because they vibrate, but in handheld mode, they do not. Don't forget your headphones. 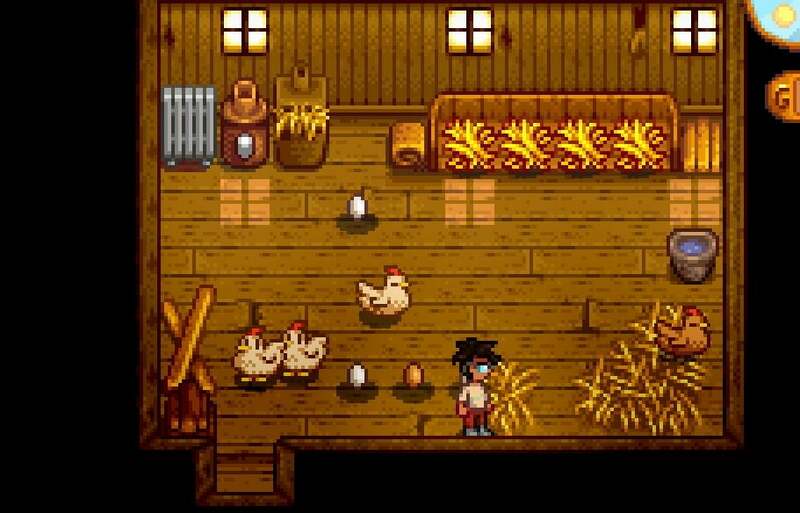 When you first arrive at Stardew Valley, what you can do is pretty limited. Make sure you're keeping an eye on your energy bar so that you never overexert yourself. You'll wake up with less energy the next day if you do, which will make things even worse! Any time you accidentally use a tool, you use up energy. I make this mistake often while trying to talk to villagers, so it's worth getting in the habit of unequipping tools. Alternatively, you can have a weapon as your active item, because swinging those doesn't use up energy. 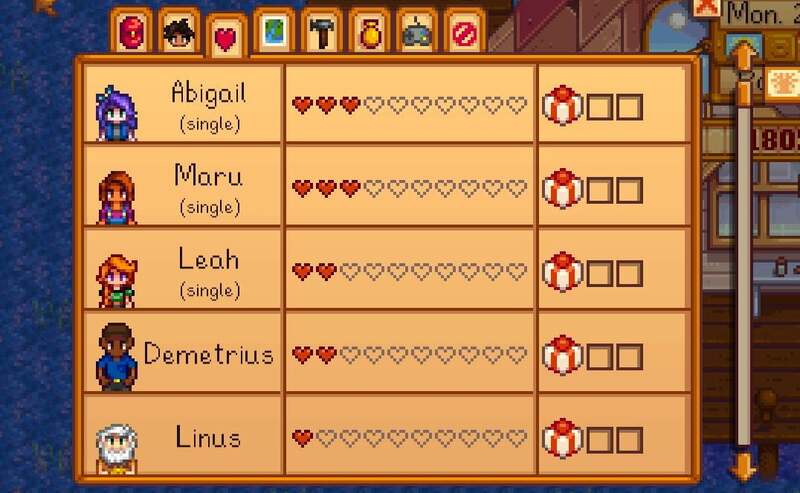 Time passes pretty quickly in Stardew Valley. Going from one end of the map to the other can sometimes take hours, and that's time you don't want to waste. Stores are only open during certain timeframes, after all. Before you start a new day, hash out a general idea of what you want to accomplish before you go out there. It's good to stick to a couple of activities at most, especially since part of your day will always involve tending to your crops and livestock. If you're the meticulous type, you can even use this online planner to etch out exactly how you'll use your plot of land without having to spend any in-game time scouting. 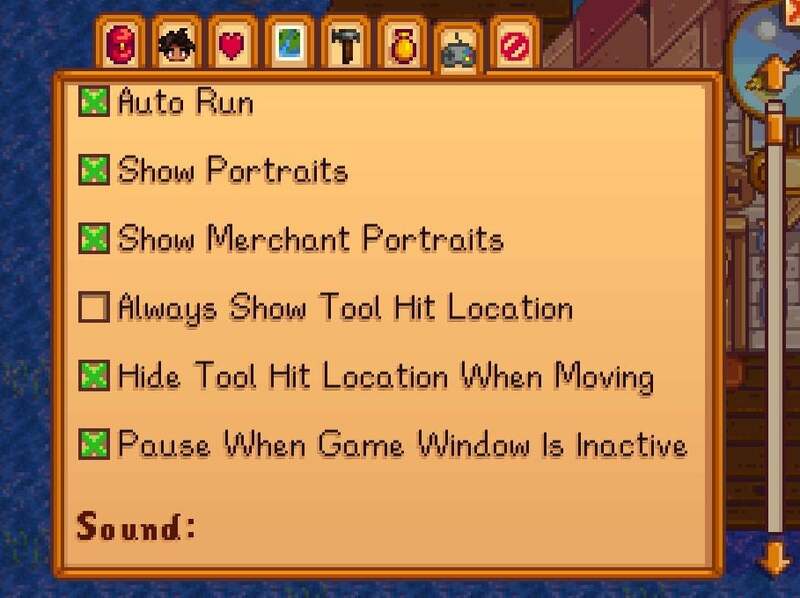 This might seem like overkill at first, but when you unlock all the different areas and activities in Stardew Valley, you won't have enough hours in the day. Unless you want time to pass, make use of your ESC key to pause the game. Talking to people, or looking at menus (like for a chest, or when purchasing items) also pauses the game, so don't worry about taking too long there. Either way, pausing is useful because you don't want to waste too much in-game time deciding if you want to plant a pumpkin or an eggplant. When the clock hits 2am, your character will pass out, no matter what they're doing. The doctor will always find you and bring you home, but he'll charge you — and the next day, you might not have as much energy. Do not let this happen to you! Once it gets late, stop whatever you're doing and start heading back home. Late night mindfulness is especially important when you're in the mines, as walking back home can take over an hour. I stop spelunking around 11:30PM, and even then, that's cutting it close. Your farm is rich with resources, so make use of them! Chop down trees, mine stones: whatever you need, take it. Just don't get carried away by using too much energy doing it. 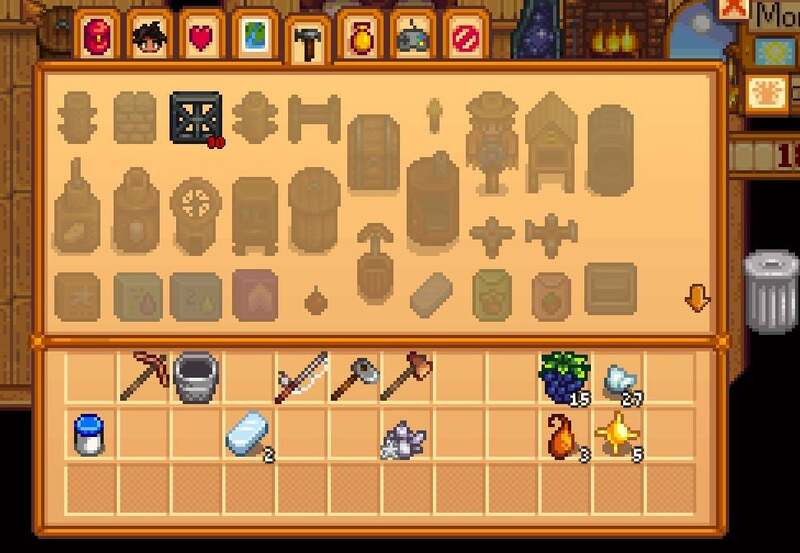 Use chests to organise everything you pick up in Stardew Valley. 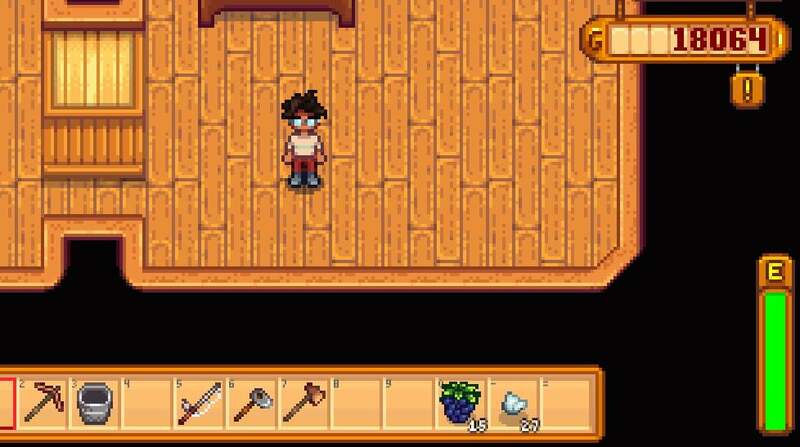 I find it's useful to have a chest inside my house, one next to my crops, one next to my barn, and one next to the mines. My house chest has things I don't use very often but want to keep around. My crop one has farming tools. My barn one has livestock-related items. And my mine chest has weapons and monster loot. A different system might work better for you, the point is to store items where you actually use them — which can cut down time you're walking to and from different areas, as well as reduce the number of times you become over-encumbered. Wanna make a lot of money quick early in your game? Head down to the beach area and make a right. You should find a broken bridge. You can fix it for 300 wood. Over on the other side, you can find a variety of items, like shells and coral, which you can sell to the fisherman down south for a good sum. Right next to Pierre's cash register, you should spot a backpack. You can buy it! It costs $2k, and it's worth it. 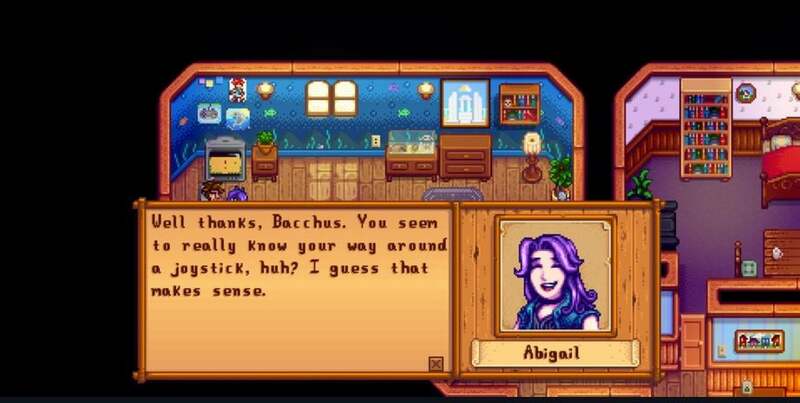 Unless it's literal trash, everything you pick up in Stardew Valley has a use, be it crafting, or gift fodder. Heck, even junk can be turned into something useful if you build a recycling machine. Instead of trashing items, you're better off stockpiling EVERYTHING in organised chests. You never know when you might need it. My rule of thumb is: sell anything with a star on it, and keep one of everything, just in case. Keeping one of everything is an easy way to fulfil NPC quests. Season specific bonuses: In Fall, there's an event where you need to display your best items. You'll get graded well for nicer things, so keeping around some gold-star produce and rare items for this event is recommended during the fall. Also, keep at least some hops for the winter time — by then, you'll know how to brew. The most valuable thing to brew is wheat, so make sure to grow some during the summer. While you can plant whatever you'd like right away, you won't get very good crops out of it. After you've foraged a little, you should have a stockpile of sap lying around. Go into your crafting menu and make fertiliser. It's 2 sap per box, and each box covers a square of land. Each and every single thing you plant should be fertilised first, and then watered daily. Your prize will be better quality crops, which you can sell for a bigger profit. You also have the option of using Retaining Soil Fertiliser, which might keep your plants watered overnight. I don't think it's worth it. Speed-Gro Fertlizer makes your crops grow faster by 10%, but unless the season is about to change, that's not really worth it, either. Have patience! Oh, I'm not going to spoil why. Just do it! It will make your honey worth more. Fancy items are worth more than raw materials. If you can make eggs, build a mayonnaise machine. If you have a cow and can produce cheese, make a cheese press. And you should definitely make a preserves jar as soon as you can; you can dump whatever you'd like in there to make either jam or pickles. Finally, yes, you do want that bee house...just note that you won't get any honey during the winter. Crops will be your main source of income. At the start, it may be tempting to eat your items for more energy, but don't do it. Buying upgrades will be worth more to you and will save you more time in the long run. Your house comes packed with a television, and you should watch it every day. Weather reports for the next day are useful for obvious reasons, and sometimes you'll also come across unique programming, like cooking shows, which can teach you new things. There are two primary ways of getting quests in Stardew Valley: letters and the notice board. Sometimes, you'll get mail from residents asking for specific items. 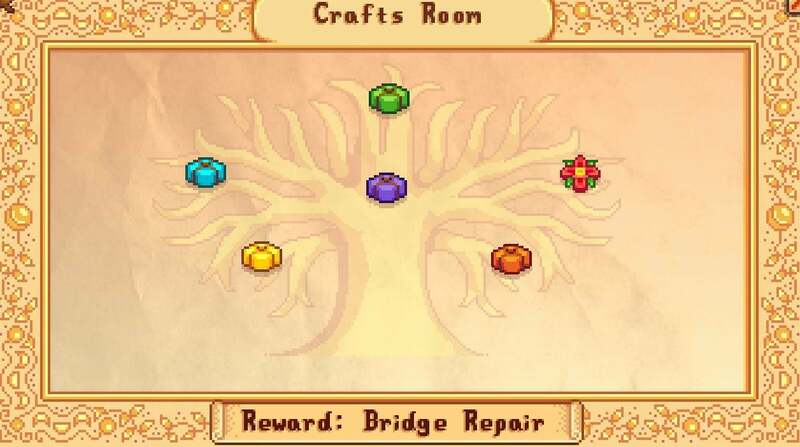 Or, if you right click on the board on Pierre's shop, you can take on quests there. Some quests might be lucrative, others not. Don't feel like you HAVE to do a quest just because you took it, because there are always others around the corner. Quests are mainly meant to prompt you into trying new things, which means they won't always reasonable or do-able. They are a good way of becoming friendlier with the residents of Stardew Valley, however. Secondly, the notice board also has a calendar on it. Check it out so you know when events are coming up, or when someone is about to have a birthday. Make sure to give people gifts on their birthdays! The calendar is also good for knowing when the season will end. Every crop will die when a season ends, so make sure you're not planting anything that will take too long to grow near the end of a season. Rainy days are special. You won't have to spend time watering plants on rainy days. But, more importantly, you'll A) get rarer fish on that day B) get rarer items in the mines. Make use of rainy days! 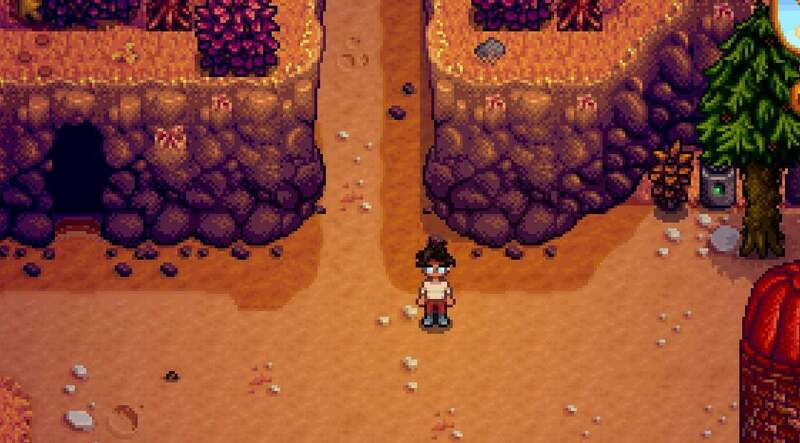 Don't get swept up farming and exploring, because Stardew Valley is more than that. It's also a game about people. Everyone has a unique story that's worth hearing. If nothing else, you really don't want to be the loser at the event that nobody wants to dance with. Eventually, when you get to know someone well enough, they will start giving you unique dialogue options, as well as special events. Being friendly with people is also the only way you can visit someone's room, too, and that's a nice way of learning more about who they actually are. If you want to romance somebody, you need to talk to them and get to know them better. Give them gifts (you can give someone up to two gifts per week). Do quests for them. The Mermaid's Pendant (5000g) can only be acquired by the Old Mariner on the beach after you've repaired the bridge (300 wood), upgraded your house at least once, and only on stormy days. You cannot obtain the pendant in the Winter since it does not rain. The wedding will take place 3 days after you propose and be handled by the person you are marrying. After the Marriage Ceremony is complete, your new partner will move into your farm. Becoming pals with the wizard is useful: after a few hearts, he'll let you enter a special room where you can change your character's appearance for $500. I found it easiest to give the Wizard my extra void essences, which you can pick up pretty much anywhere within the mines. Despite all the comparisons to Harvest Moon, around half of Stardew Valley is actually combat related. Every once in a while, it's worth trying to go deeper into the mines to see what you'll find. Any monster loot you pick up can be sold at the Adventurer's Guild next door, and every ten floors you'll get a special item. Every five floors, there's an elevator, so making progress is easy. Just be careful in there. If you lose all your health, you'll faint and awaken on the ground floor...with some items and money missing. The game will also reset some of your progress in the mines after fainting, so it's bad news! Also, it's possible to fish inside the mines, too. If you find a body of water, cast your line, see what bites. The mines have special fish you can't find anywhere else. FYI, the mines should unlock a week into spring. If you're having trouble locating it, go a little northeast of the carpenter's shop. It should be to the right of Linus' tent. For 99 stones, you can craft a staircase anywhere within a mine. This is useful if you're running out of time or energy, but need to go down deeper into the mine immediately. These annoying pests will morph into an entirely new enemy if you don't kill them fast enough. When a coloured haze takes over a mine level, it means you're about to get hit with a wave of monsters. If you're not up for the challenge, get out of there quick. At the very least, have healing items ready. When you first visit the mines, the area directly to your right will be closed off. But if you build a cherry bomb (4 copper, 1 coal), or if you upgrade your pickaxe enough, you can break the barrier down and visit a dwarf. You can't actually understand the dwarf until you find all the Dwarven Scrolls, which will be hidden periodically across Stardew Valley in the worm-like spots mentioned above. Low on energy? You should eat! Certain items you grow or make on the farm are edible, or you can craft certain food items, like Field Snacks. When you upgrade your house with the carpenter, you'll also unlock a kitchen, which lets you use ingredients you grow to cook food. (Side-note: the accompanying fridge you get in this upgrade is good for storing food!) It's good to always carry around at least a few snacks, especially when exploring the mines. You never know when you'll be in a pickle. Certain items even give you good boosts, too. The Saloon sells Coffee for $300, which increases your movement speed for a little while. Trout Soup, sold by the fisherman for $250, increases your fishing skill temporarily. Home-cooked meals also have a wide variety of effects, so it's worth scoping those out. Remember that the Saloon can sell you recipes, too. Slight spoilers here, but: if you get to the bottom of the original mines, you will find a key. Want to use the key? Then you need to finish the Vault community center bundle. Lots of people congregate here, especially on the weekends. So not only is the saloon a great way of socialising, you can also play the games over at the arcade. Note that if your fortune says you'll have good luck that day, you'll fare better at these arcade games too. If an item says you can give it to Gunther, you should do it — especially if it's a rare, expensive item. Every few donations, you'll get a neat reward at the museum. Don't worry, you'll find more diamonds in no time. Once you donate 60 items to the museum, you'll unlock the sewers, another explorable area for you to enjoy. Artifacts you can't sell can still give you money if you "ship" them. The shipping container is that big box right next to your house. If shops are closed, the shipping container can still give you moolah for your items. You'll just have to wait until the next day. First, save up enough money to purchase at least a fibreglass rod (it's $1,800.) Once you have it, craft some bait using bug meat you've picked up in the mines (one bug meat = 5 bait). 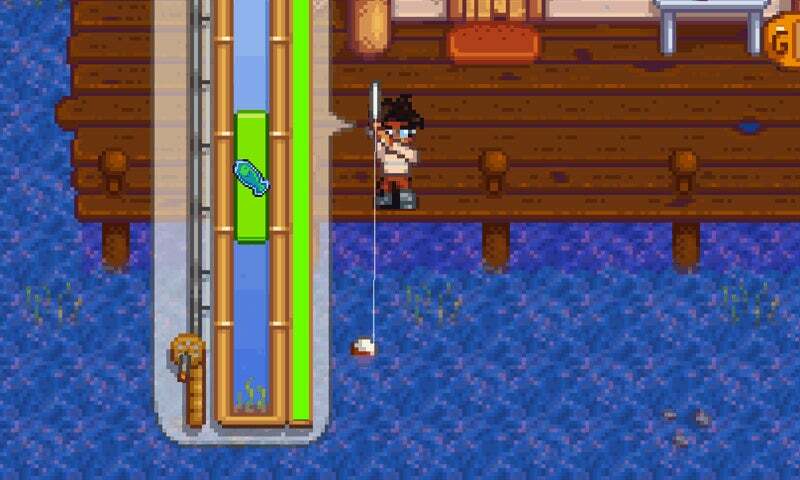 You can attach the bait to your rod by left clicking on the bait, and then right clicking on the rod. Bait helps you catch fish faster. See some bubbles in the water? That's where you want to cast your line. You'll catch fish faster, and they will be rarer, too. When you cast the line, I find it's best to have the "catch bar" go up to somewhere around the middle, like so. Max bar uses up too much energy. When something bites, try to hold down your mouse button and ease off as necessary rather than just click-mashing. It's easier to control where the green bar goes with this method. Sometimes, you'll get fish that jerks you around a lot. If a fish suddenly nosedives, don't follow its lead — letting go suddenly will cause your green bar to bounce at the bottom of of the fishing bar, which can sometimes make things worse. If you're finding fishing difficult, do know that the more you do it, the more you level that skill up, and the easier it will be in the future. An easy way of ensuring you unlock gifts is to first fill up your catch bar, and then go after the gift itself. This way, you have more leeway to pursue the gift, and you won't risk the fish in the process, as you'll always have time to build your catch back up. Whether you build one (40 wood + 3 iron bars) or buy one, Crab Pots are an easy way of collecting new fish or items. I have one near the blacksmith, and I check it whenever I need to process a geode or donate an item at the museum. I also have a couple near the fishing store, since it's on the way to turning in fish. The better your tools, the more they can do. Of particular note is the watering can, as the copper version allows you to water three squares at a time. Chores go way faster! The best time to fully upgrade the watering can is during the winter, as you won't have a bunch of crops to worry about then. The other tools, you should upgrade depending on how you play the game. If you do a lot of mine exploration, go for your pickaxe first. If you're hurting for hardwood, upgrade that axe. Note that any upgrade you do will typically take a couple of days at the blacksmith, a time during which you both cannot use the item or the blacksmith for any other purpose — so upgrade (and plan) wisely. Upgrading your axe once will allow you to destroy logs. There's one log in particular north of the Wizard's castle which you want to pay attention to. Destroy it, and you'll be able to go west to a special little area. Here, you'll find a few stumps of hardwood, which replenish every day. OK, here's a weird thing. You know those weird worm-like things in the ground? Use your hoe on those spots. You'll dig something up. Usually, it's a book, but sometimes, it will be something cool and valuable. These spots are random, and they replenish every day. If you're trying to collect clay, dig around until you find some. When you do, use the pickaxe on that same square. It will reset, and you'll be able to dig up as much clay as you want. Finally, you can actually use your hoe on dirt patches inside the mines, and doing so will unearth a variety of different items, from resources to snacks. Just don't go overboard and use up all your energy digging through these patches, because they are plentiful. On Fridays and Sunday, a special caravan will appear near the wizard's tower. It usually sells unusual items, but they will be expensive. Sometimes, it's worth it, though. Every house has a trash can, which you can check by right clicking. Who knows, maybe you'll find something good. Just don't dumpster dive while other characters are around you — they will judge! Eventually, you'll get a little cutscene near the old Pelican City Hall. Once that happens, you'll unlock Community Center Bundles, which are basically quests where you're tasked with collecting a variety of items. These are worth doing, because they unlock new things within your game, like faster travel and new areas. Some bundles are season-specific, so you'll need to get cracking on them ASAP. Of particular note is the Greenhouse bundle, which will let you repair your greenhouse. Having a greenhouse lets you grow whatever you want year round! Additionally, doing Community Center bundles is how you'll get the privilege of visiting the desert on your map. Finally, though Stardew Valley insists nothing can be grown during winter, if you complete the Winter Bundle, it will award you with Winter Seeds — which, yes, can grow during winter. Worth mentioning that you don't need to have every single item right away, you can store parts of of a community bundle as you gather the items within the community bundle menu. Walking around in Stardew Valley sure can be a drag, huh? But, there are ways to get around quicker. Before you plop down money for a horse, consider finishing the Boiler Room bundle in the community center first. It's pretty easy — you need to forge a few bars, collect a few crystals, and put together a batch of monster loot. A few days in the mines will get you everything you need. To feed your animals, you need hay. To get hay, you need to use the scythe on grass. This hay will automatically stockpile on any silos you've built, so it's useful to have that set up before you get any cows or chickens. You can check on your hay reserves by walking up to your silo and right-clicking. At the end of fall, you absolutely want to make sure your silo(s) are full — grass doesn't grow in winter, and you don't want your animals to starve. Pet your animals every day, as this will make them happy. Build fences around their barns, and then let them outside during the day, as this will also build up happiness. However, you must make sure to close these hatches at night time, because if you leave them open, your animals will produce less resources the next day. Eventually, if you make your animals happy enough, you'll be able to sell them back for a good profit. Also, you need to make sure to have a heater during the winter; one per building (like coops and barns). You don't want your animals getting cold! Eventually, you'll unlock a spa. You should definitely check it out, as it replenishes your energy. Just stand still in the rejuvenating water and let it work its magic. You can only visit it once per day. If you've unlocked any achievements, there's a shop south of the wizard tower which will sell you cool hats. When it comes, you won't be able to grow much. It is, however, a good time to upgrade your items, spend time with villagers, stock up on resources and explore the mine. Also, if you built any wood fences/gates outside, these will start to break down during the winter, so that's a good time to upgrade to stone or iron fences, if you have the resources. Winter is also a great time to purchase fruit trees, particularly the one for spring, which will take a full 28 days to grow — so you have no time to waste. 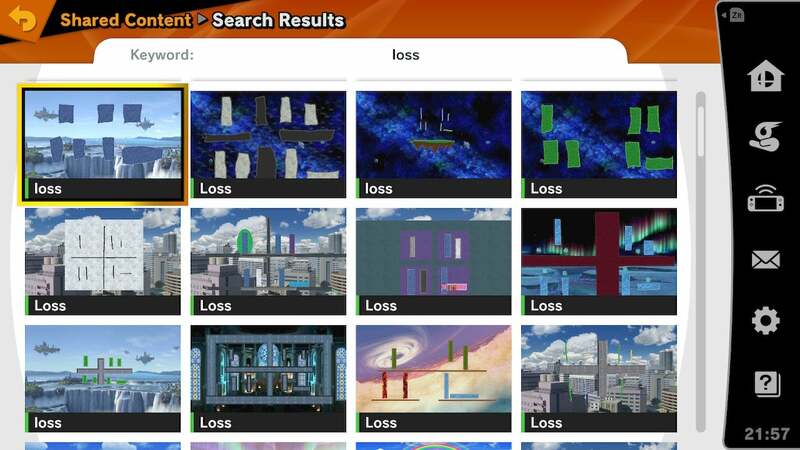 Don't read this if you want the 'challenge' of finding these items on your own, but! To find the Mayor's shorts, you need to become two hearts friendly with Marnie. The mayor's shorts are in her room. Linus' basket, meanwhile, is on the left side of the bus road. 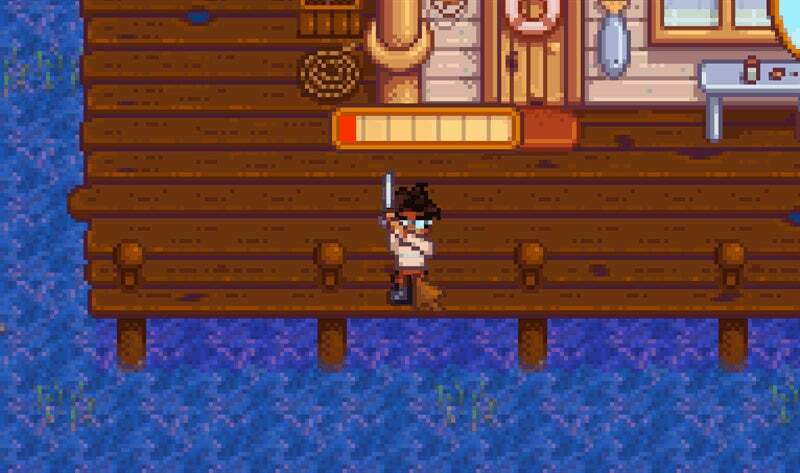 There's a lot to do and to keep track of in Stardew Valley, but you should never feel pressure to do all of it right away. The game can be played infinitely, and if you don't find way to do something one year, the next year will always present you with a new opportunity. Play at your pace, and know that there's always another day on the horizon. Im sorry but you forgot the most important tip. Yeah the game is like crack. Has both my wife and myself hooked. Thankfully I have The Division tomorrow so I can get away from Stardew. Hopefully.. The Division and Stardew are going to fight it out in my head...No idea which will win! Haha, that is a weird co-indcidence. I can tell you what won though. Division 1 was lacklustre, I never hit max level. Not going to bother even touching Division 2. Its just random luck, sometimes I have been there and got nothing and other times Geodes have fallen off. I didn't see this in the above list but your level 5 skills affect what level 10 skills you are able to choose. Foraging's level 5 skill that makes wood sell for more is pretty crap but it lets you get a skill at level 10 that makes hardwood drop from normal trees. Check out the Purplementat vids on youtube. Really helpful. I kinda want to get a Switch to be able to play this on the go, just like playing Harvest Moon on the GBA. So if I'm getting this right (I've managed to escape the fever until now) this game is a mix of Harvest Moon, Terraria and Don't Starve? Here's a tip that the game never explains all the way through. Ok, you've got your silo full of hay, but your animals are still grumpy (not producing) on wet/winter days? You have to manually move hay from the hopper in either the coop or barn to the trough. Notice the picture inside the coop in the article above. There is room for the same number of hays as there are animals allowed in each size building. The twice upgraded Deluxe version buildings do this automatically. So basically each animal eats one hay each day. Each silo can hold 240 hay. That means that over winter a full silo can support up to 9 animals. Had it on PC but bought it for the Switch recently and put a good 80 or so hours into it, pretty sure I'm done with it now. Got a farm, a wife, a good source of income and everything is basically "done". No regrets though, had fun!